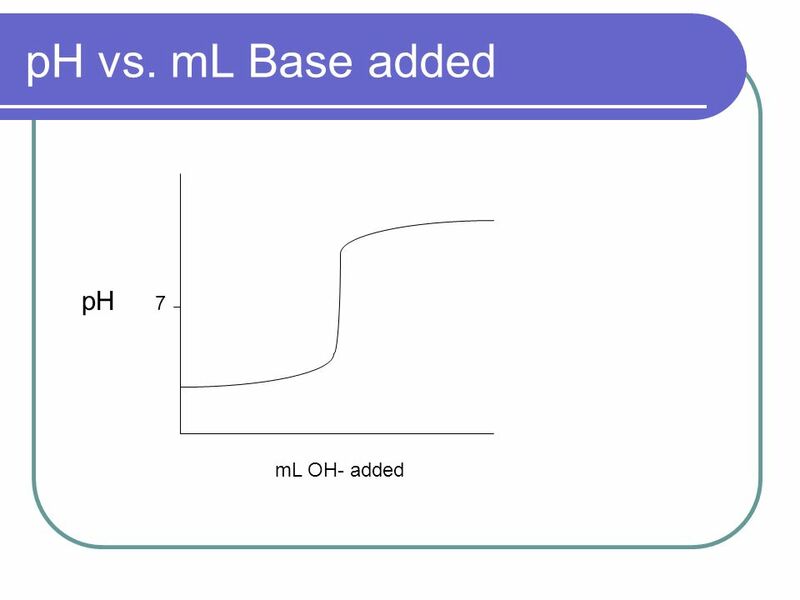 Titrations An Introduction. Have a cookie… Remember my delicious cookie recipe: 1 cup flour + 24 choc. chips 3 cookies. 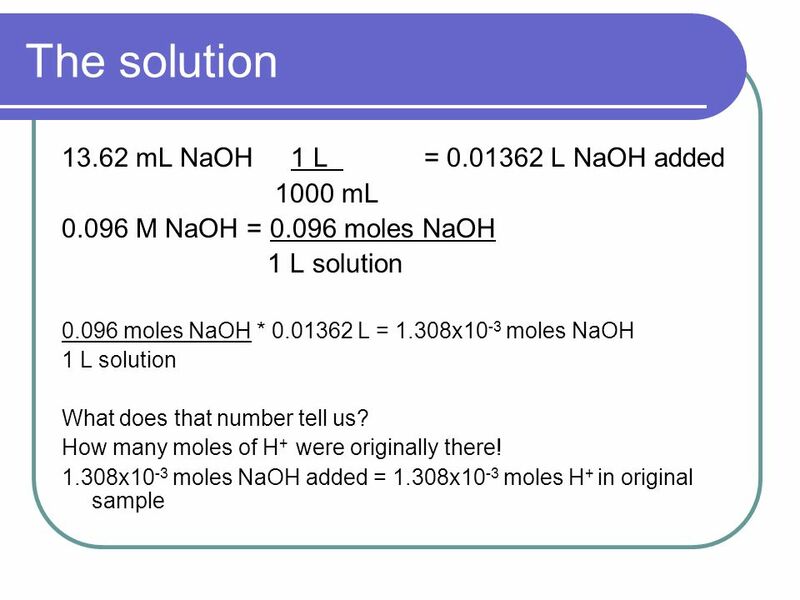 6 Titrations Its all about the moles, folks! 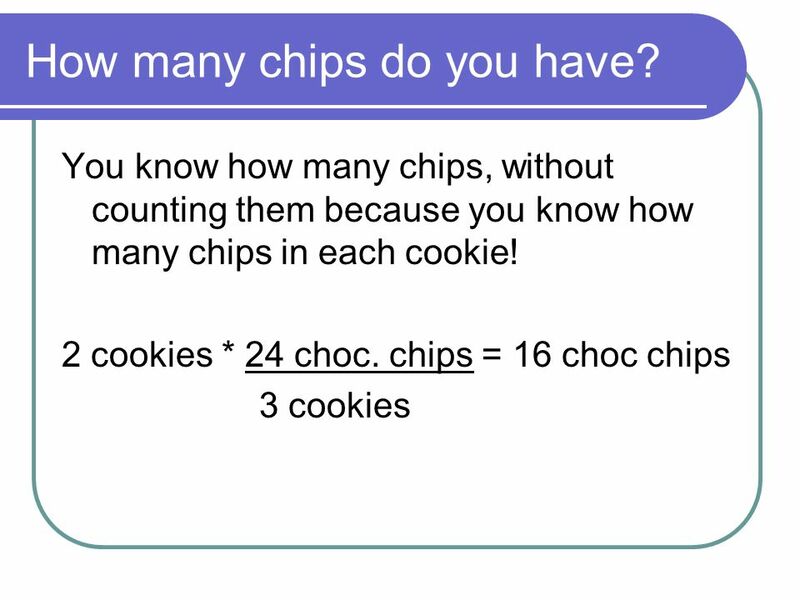 (Isnt it always…) Suppose I have a solution of waste water and I need to know how much Compound A (like chocolate chips only toxic! ) is in it. How would you do it? 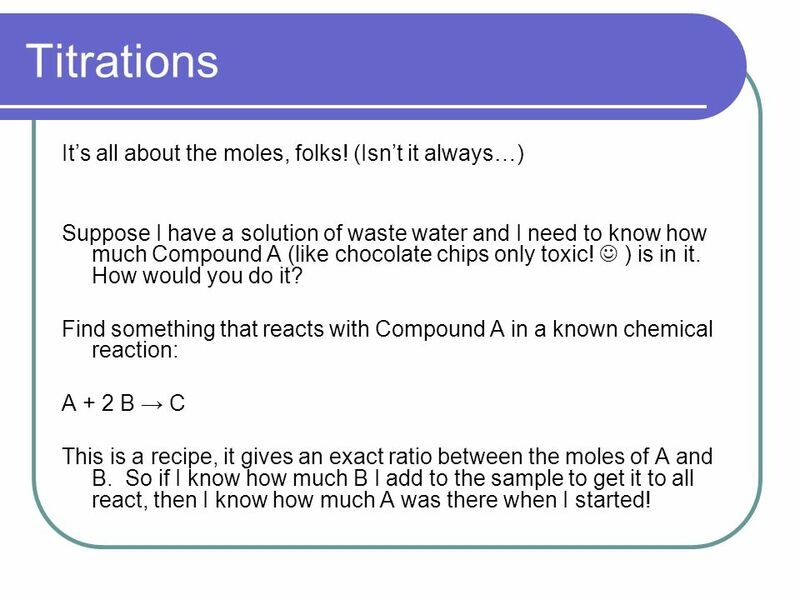 Find something that reacts with Compound A in a known chemical reaction: A + 2 B C This is a recipe, it gives an exact ratio between the moles of A and B. 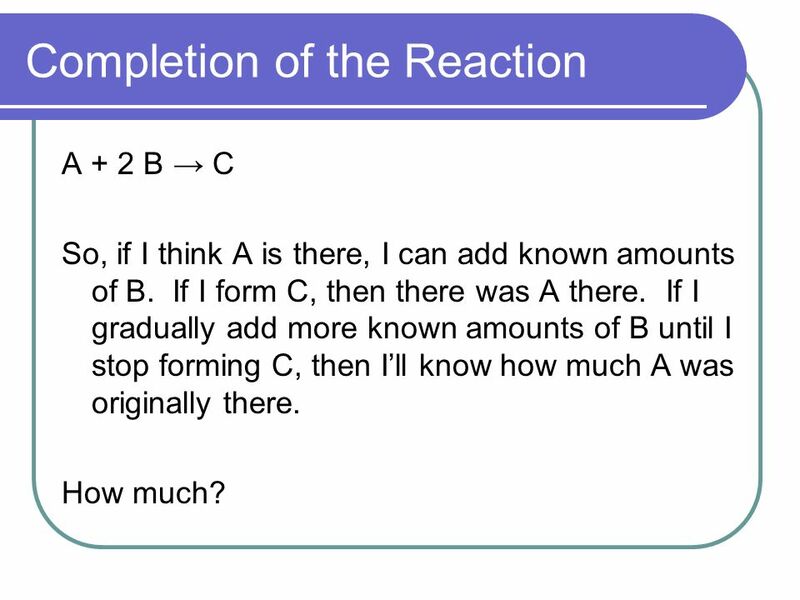 So if I know how much B I add to the sample to get it to all react, then I know how much A was there when I started! 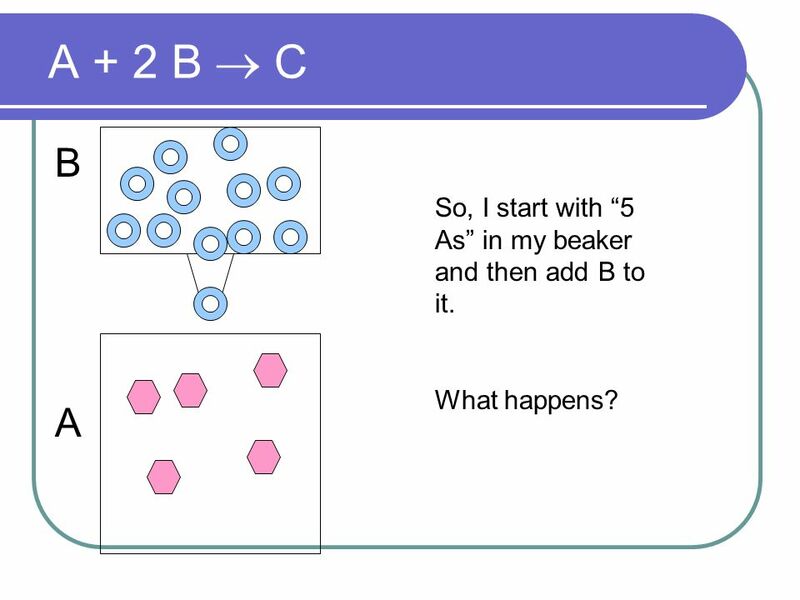 8 A + 2 B C B A So, I start with 5 As in my beaker and then add B to it. What happens? 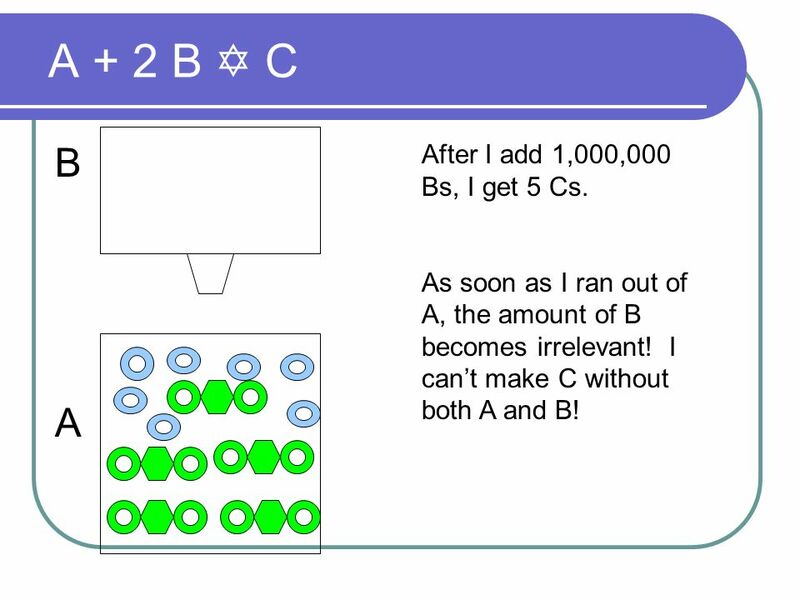 14 A + 2 B C B A After I add 1,000,000 Bs, I get 5 Cs. 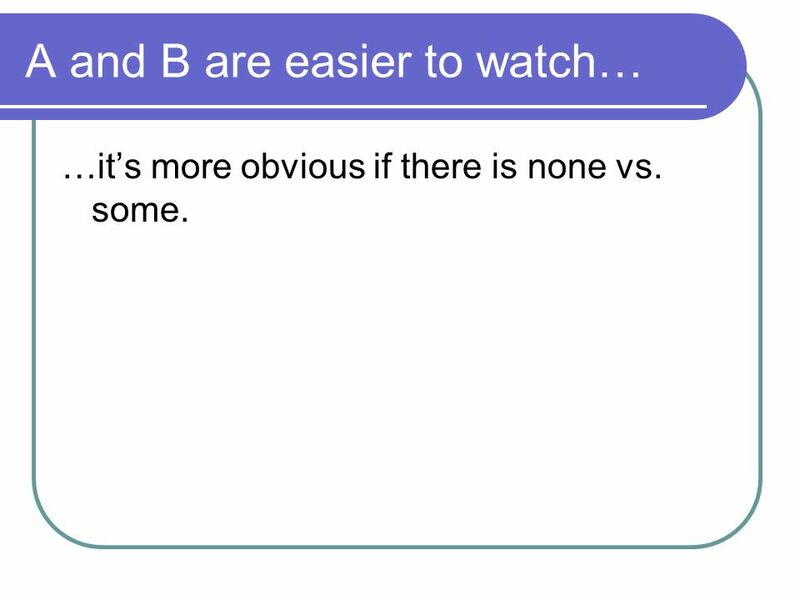 As soon as I ran out of A, the amount of B becomes irrelevant! 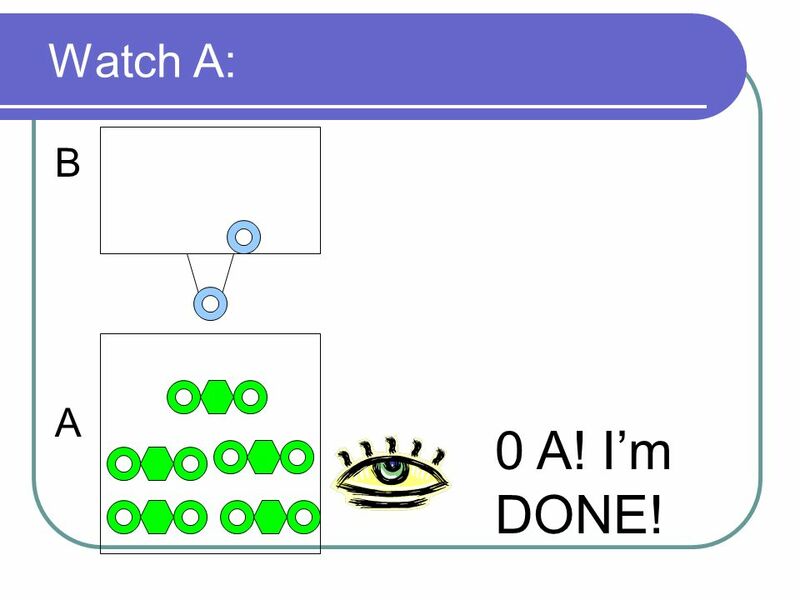 I cant make C without both A and B! 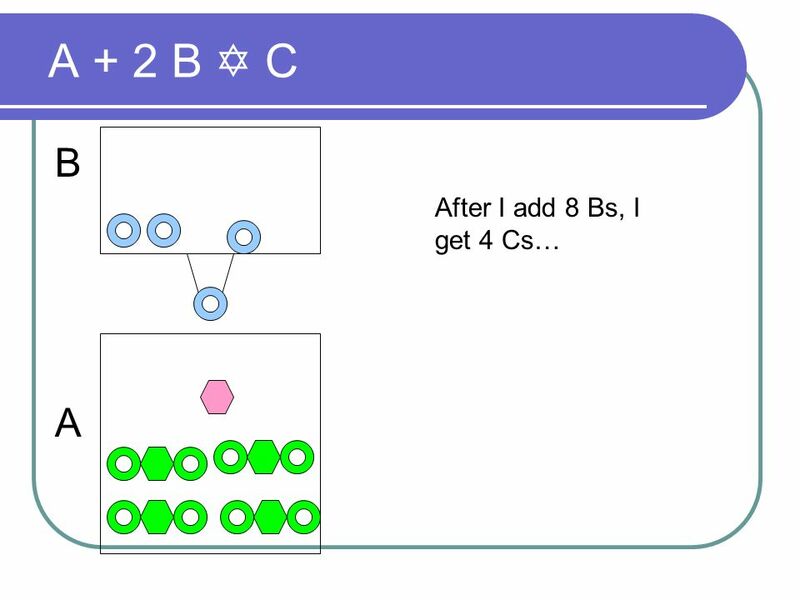 15 Completion of the Reaction A + 2 B C So, if I think A is there, I can add known amounts of B. If I form C, then there was A there. If I gradually add more known amounts of B until I stop forming C, then Ill know how much A was originally there. How much? 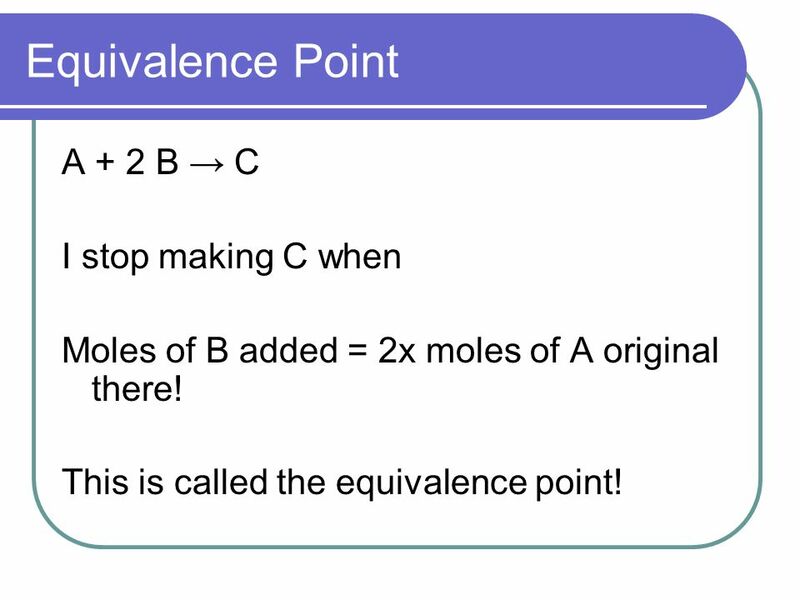 16 Equivalence Point A + 2 B C I stop making C when Moles of B added = 2x moles of A original there! This is called the equivalence point! 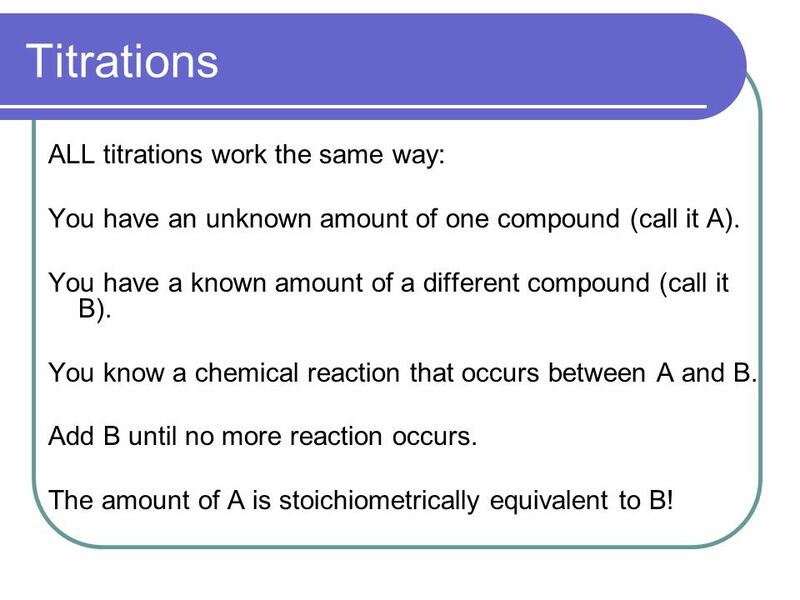 17 Titrations ALL titrations work the same way: You have an unknown amount of one compound (call it A). 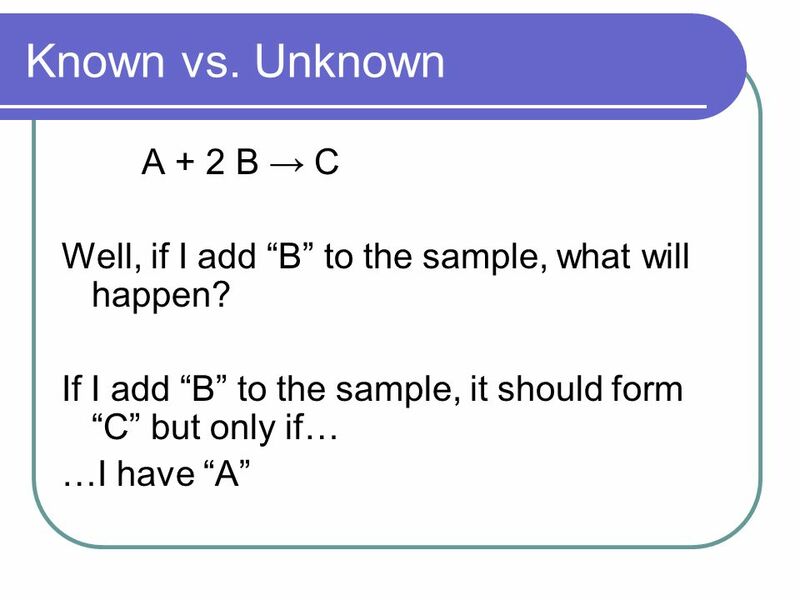 You have a known amount of a different compound (call it B). 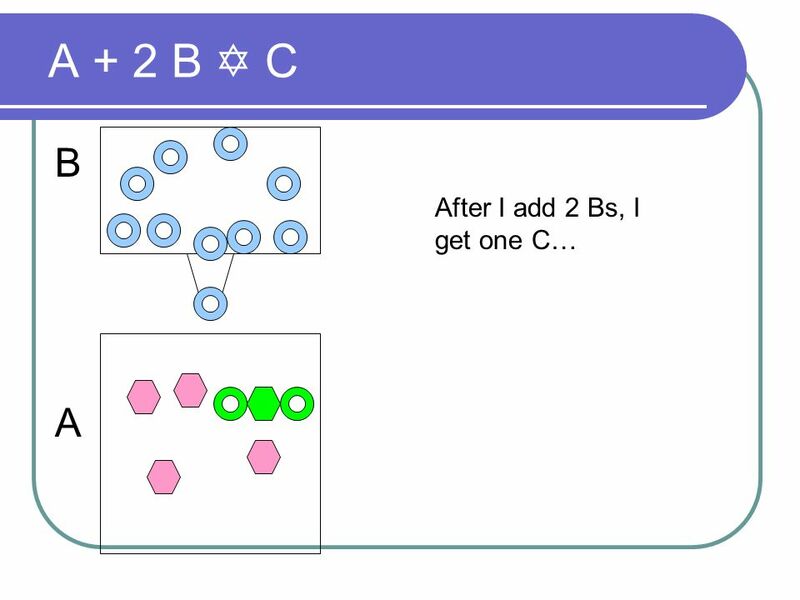 You know a chemical reaction that occurs between A and B. 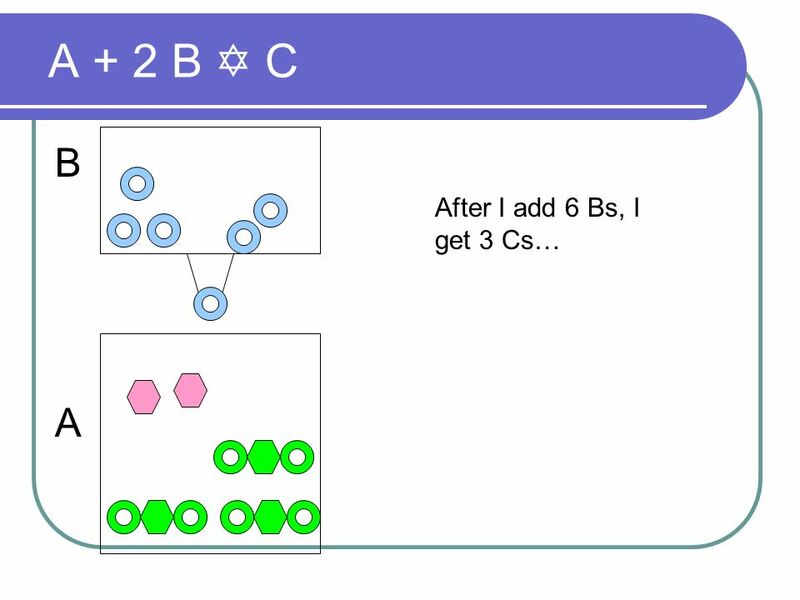 Add B until no more reaction occurs. 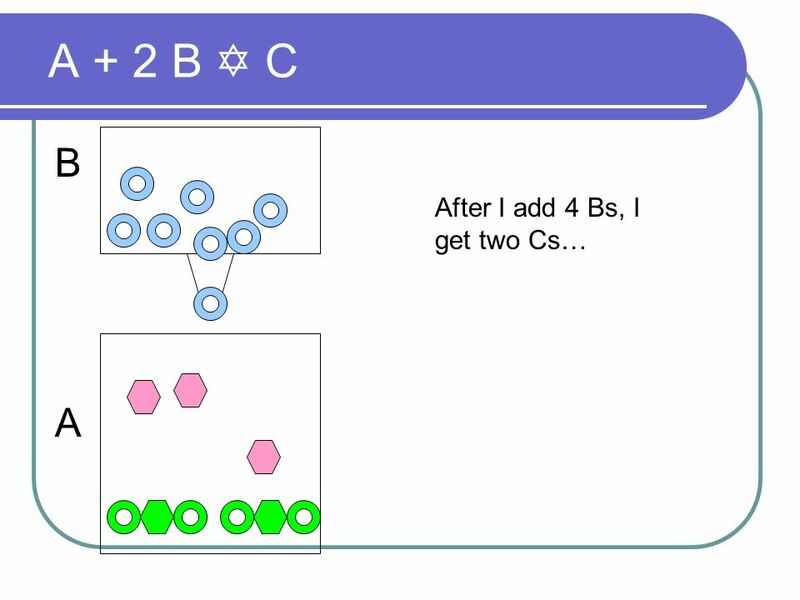 The amount of A is stoichiometrically equivalent to B! 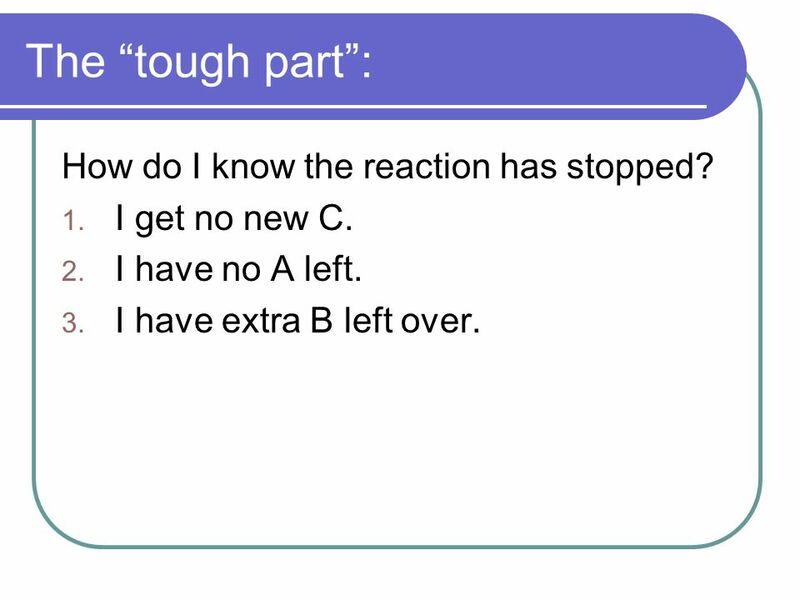 18 The tough part: How do I know the reaction has stopped? 1. 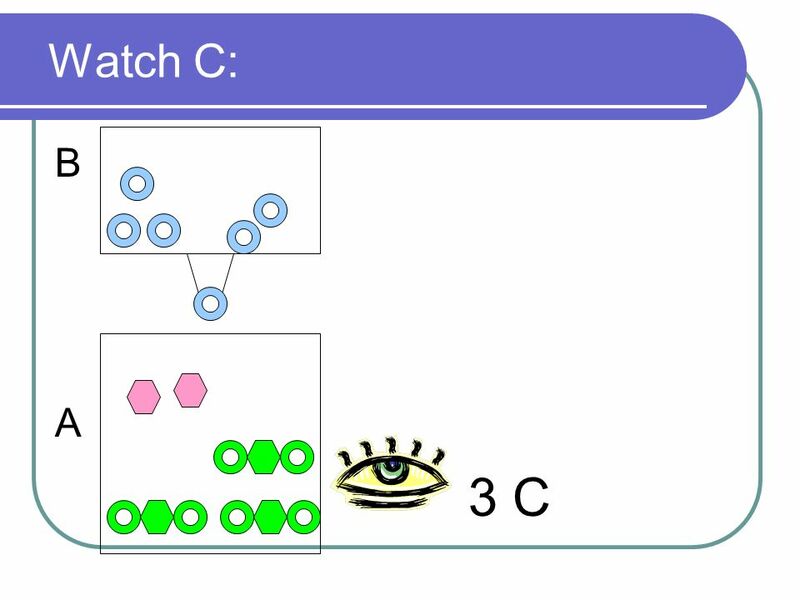 I get no new C. 2. I have no A left. 3. I have extra B left over. 24 Watch A: B A 0 A! Im DONE! 32 Watch B: B A 1 B! There it is! Im DONE! 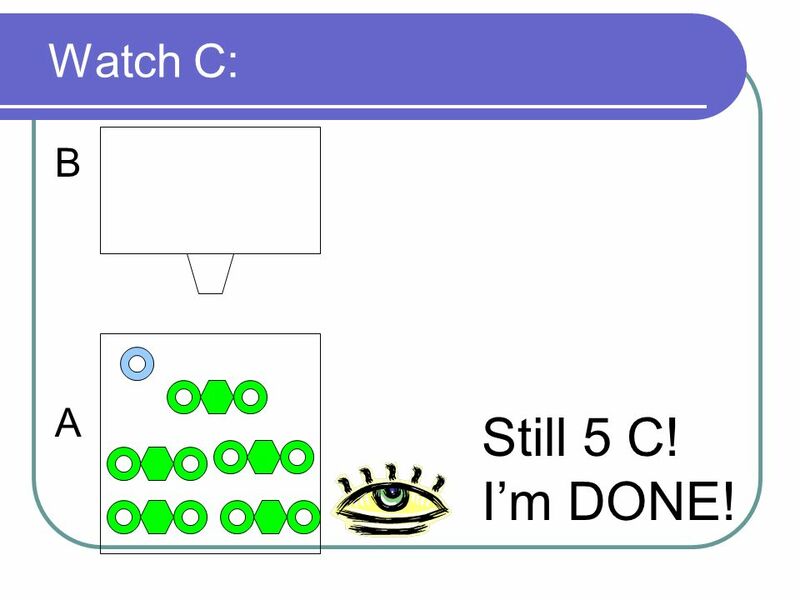 40 Watch C: B A Still 5 C! Im DONE! 41 A and B are easier to watch… …its more obvious if there is none vs. some. 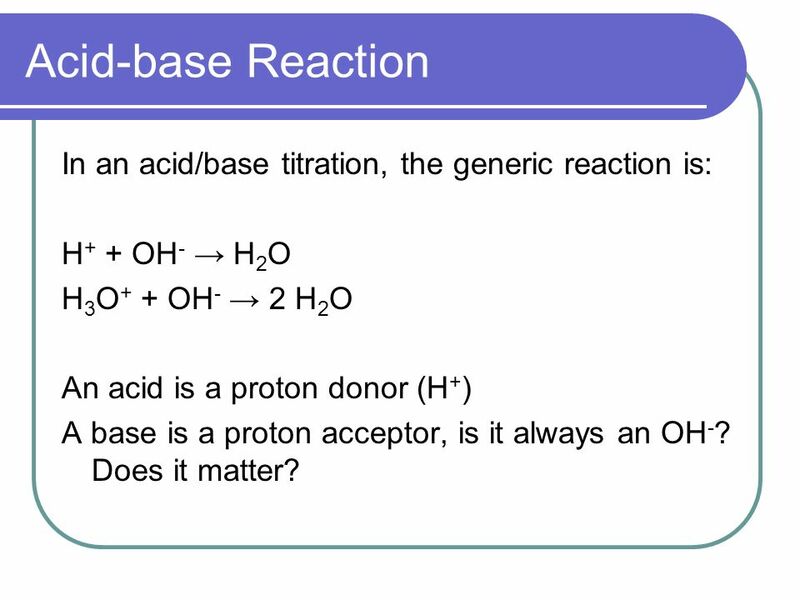 43 Acid-base Reaction In an acid/base titration, the generic reaction is: H + + OH - H 2 O H 3 O + + OH - 2 H 2 O An acid is a proton donor (H + ) A base is a proton acceptor, is it always an OH - ? Does it matter? 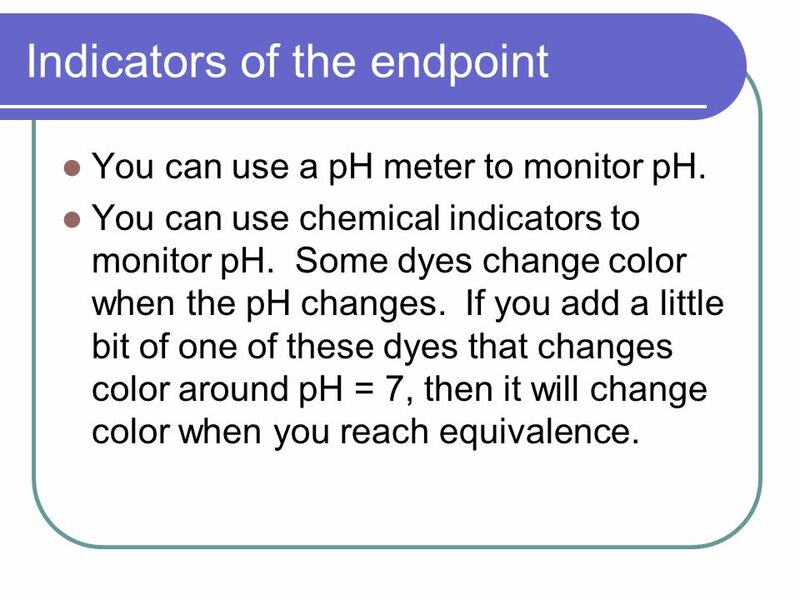 45 Indicators of the endpoint You can use a pH meter to monitor pH. 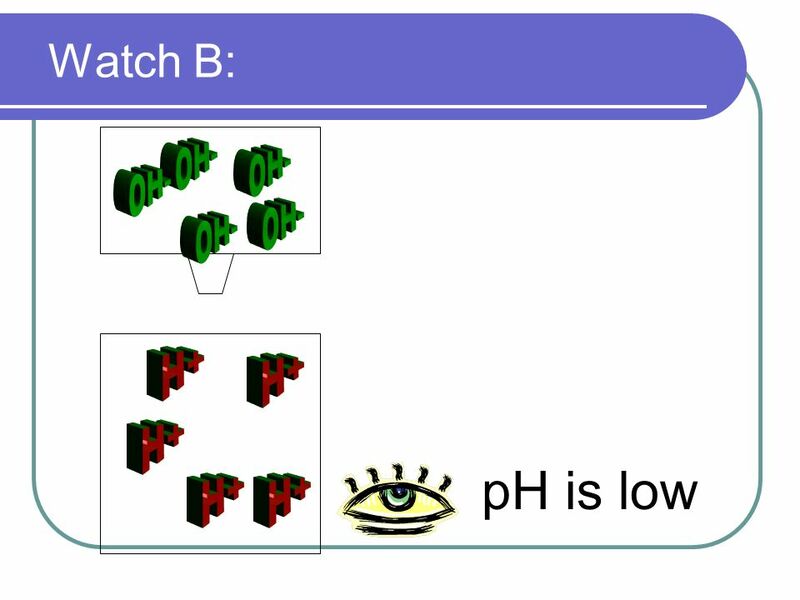 You can use chemical indicators to monitor pH. 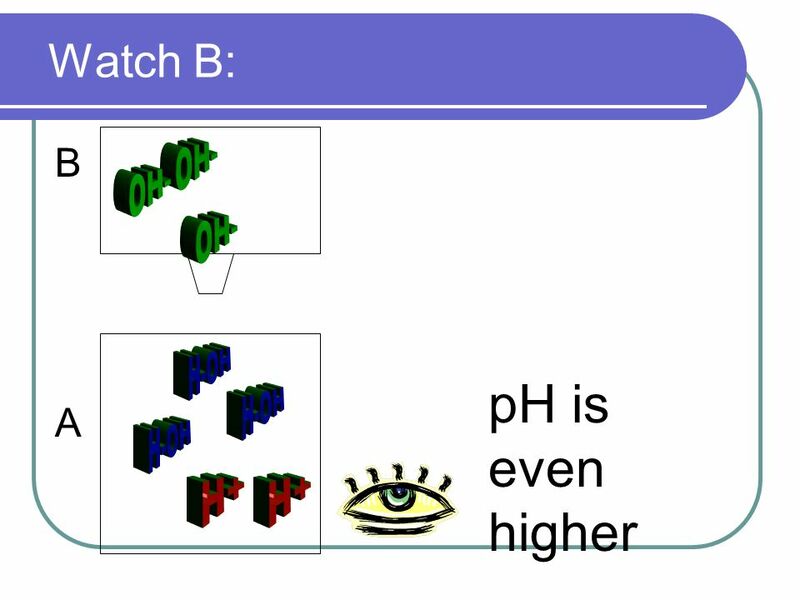 Some dyes change color when the pH changes. If you add a little bit of one of these dyes that changes color around pH = 7, then it will change color when you reach equivalence. 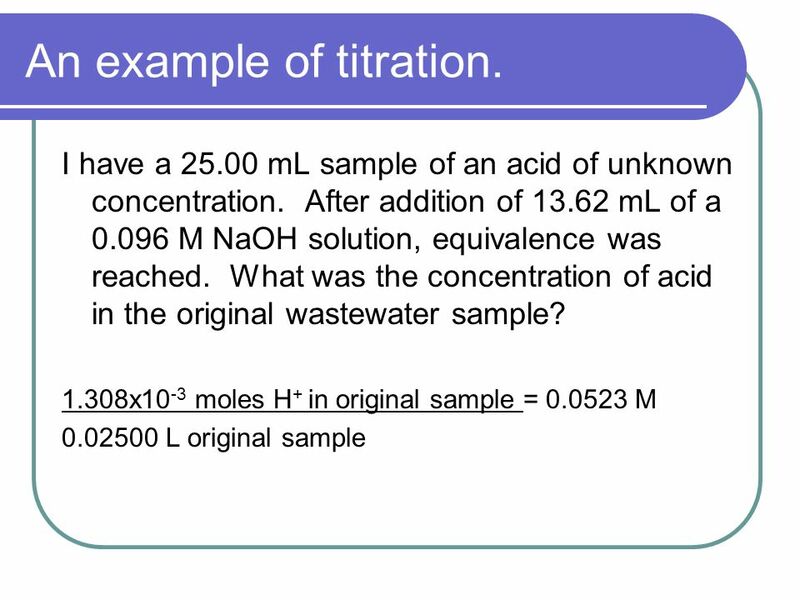 54 An example of titration. I have a 25.00 mL sample of an acid of unknown concentration. 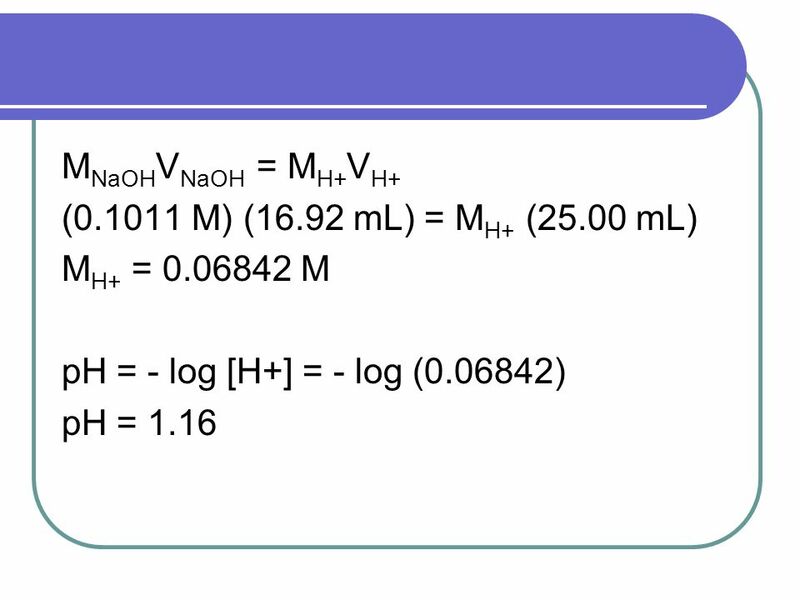 After addition of 13.62 mL of a 0.096 M NaOH solution, equivalence was reached. 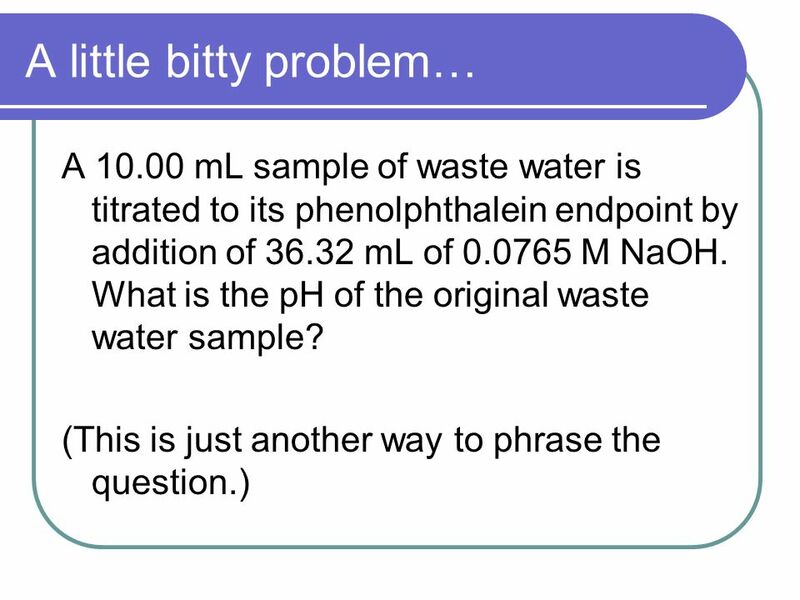 What was the concentration of acid in the original wastewater sample? Where do I start? 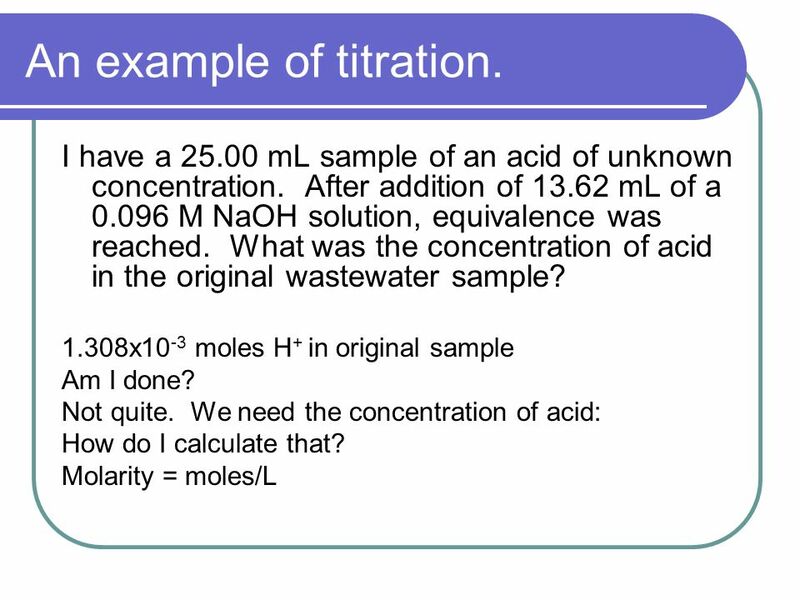 56 An example of titration. I have a 25.00 mL sample of an acid of unknown concentration. 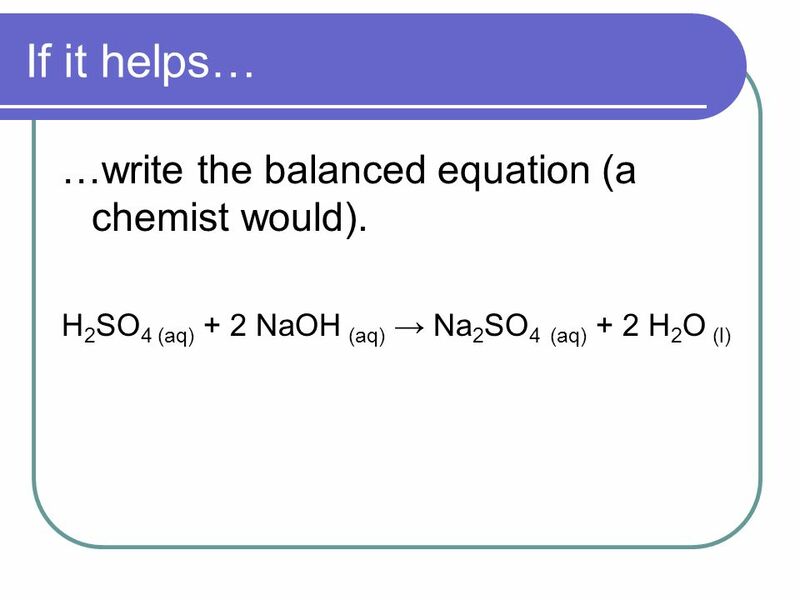 After addition of 13.62 mL of a 0.096 M NaOH solution, equivalence was reached. 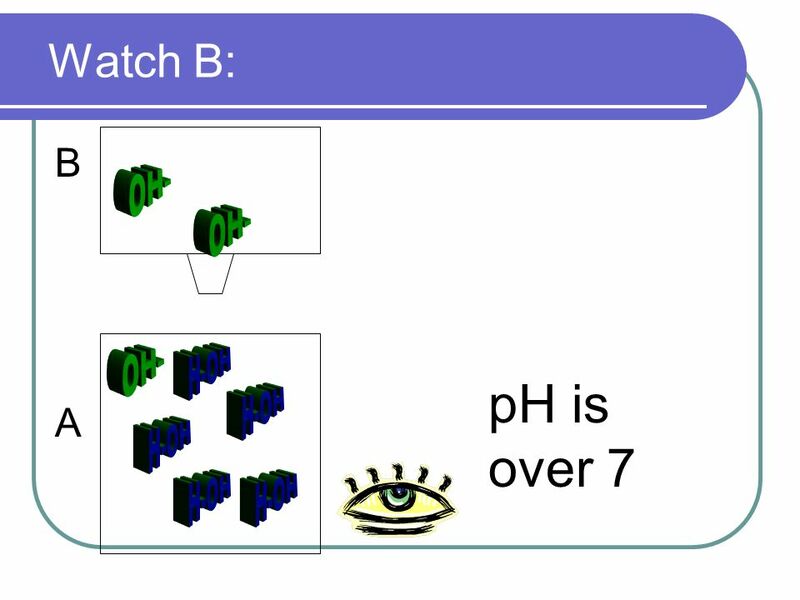 What was the concentration of acid in the original wastewater sample? 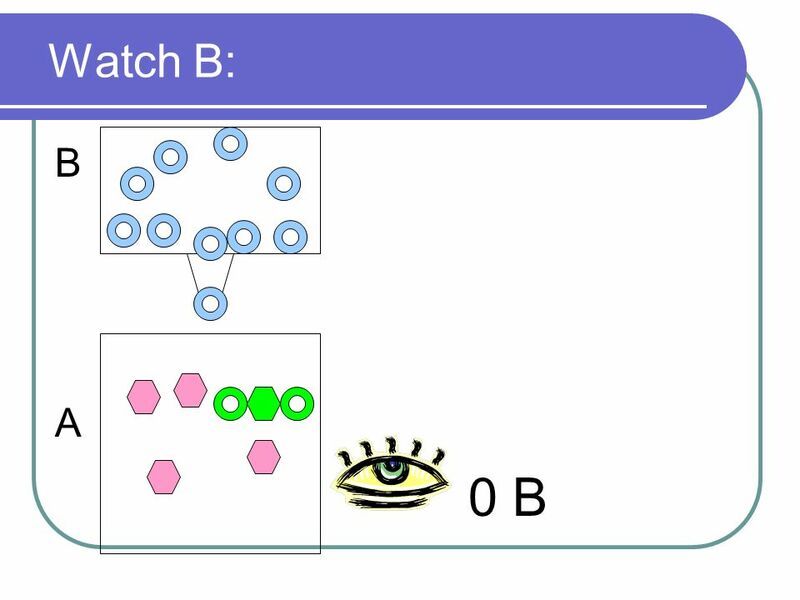 What do I need to determine? Moles of OH - added! 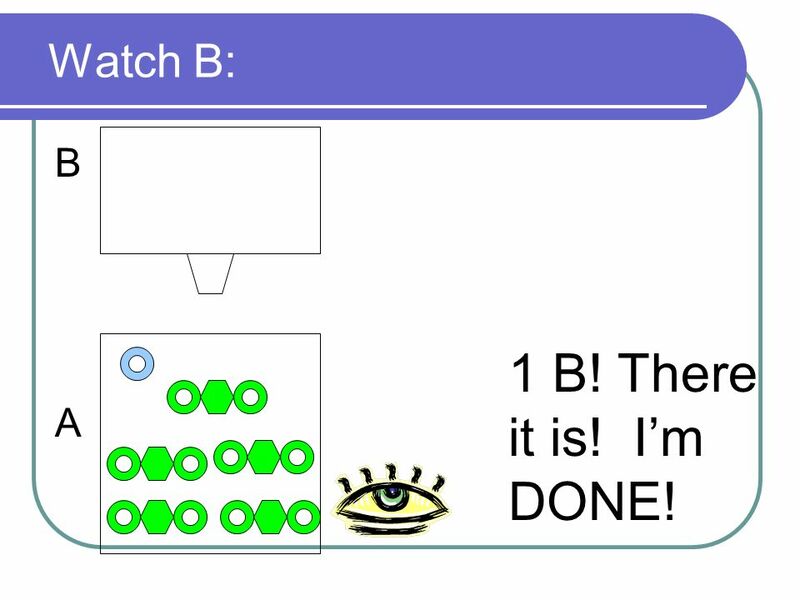 How do I figure that out? 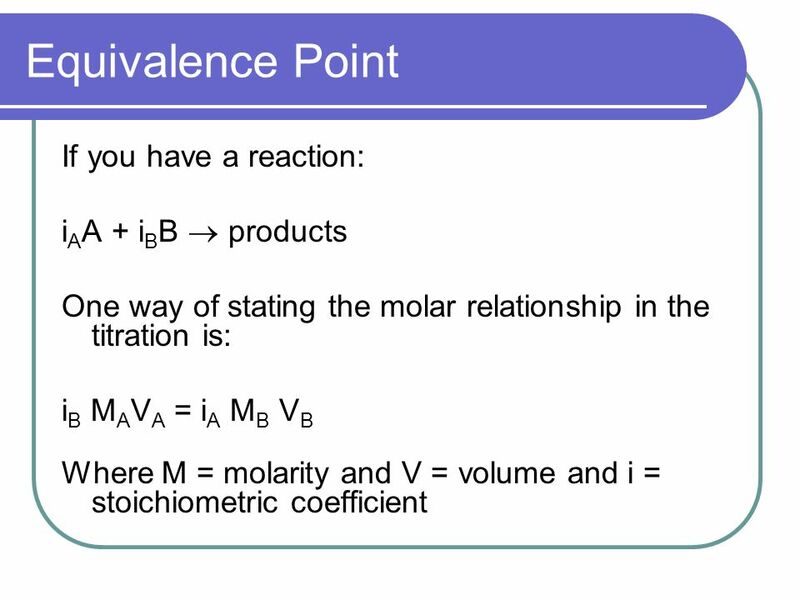 Molarity combined with volume! 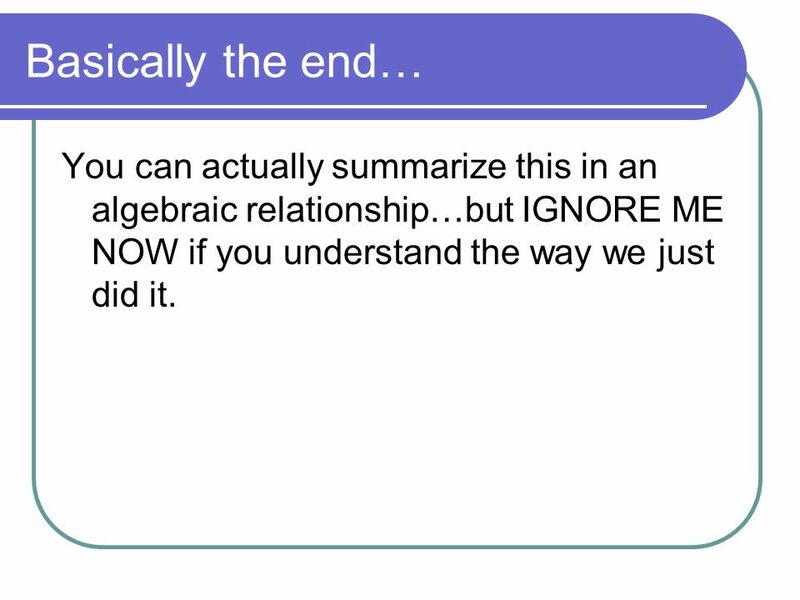 60 Basically the end… You can actually summarize this in an algebraic relationship…but IGNORE ME NOW if you understand the way we just did it. 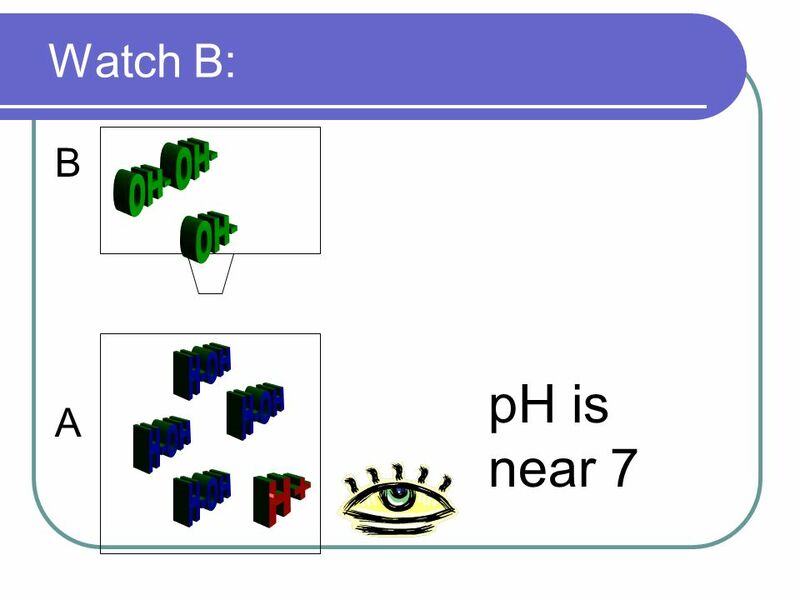 64 pH = - log [H + ] Does the [H+] = [acid]? 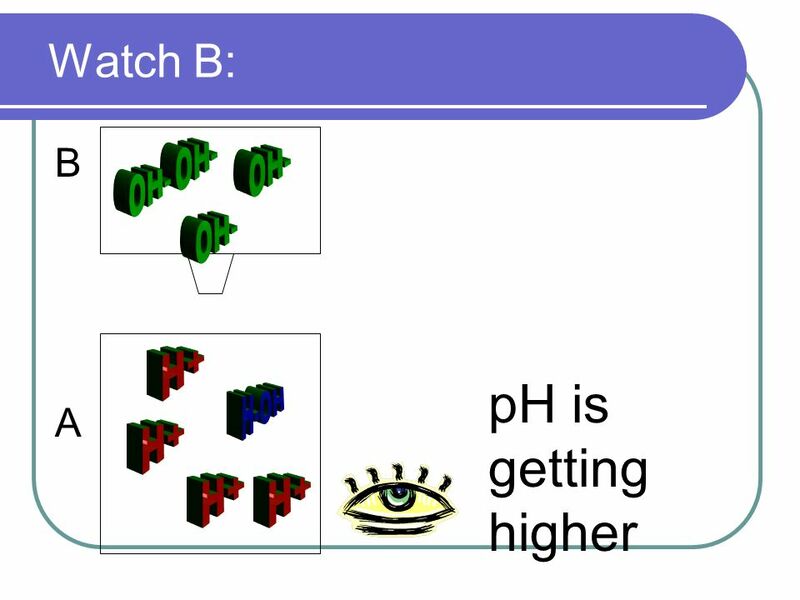 What if its a polyprotic acid? 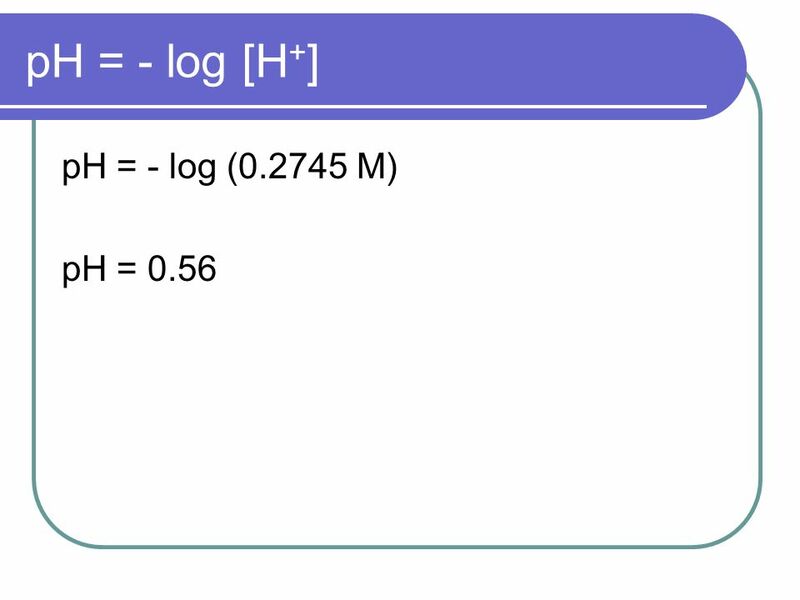 0.2745 M of what? 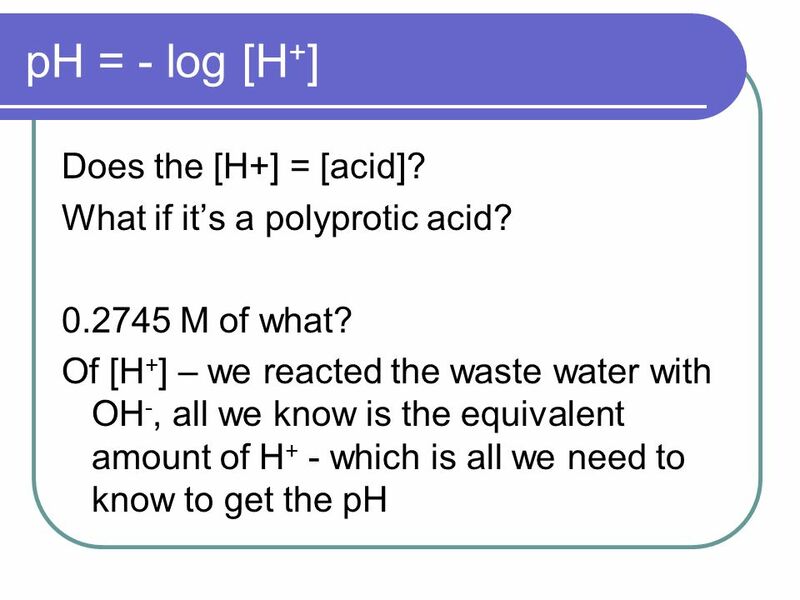 Of [H + ] – we reacted the waste water with OH -, all we know is the equivalent amount of H + - which is all we need to know to get the pH We dont actually know what the acid (or acidS) were or what their concentrations are, we just know the H +. 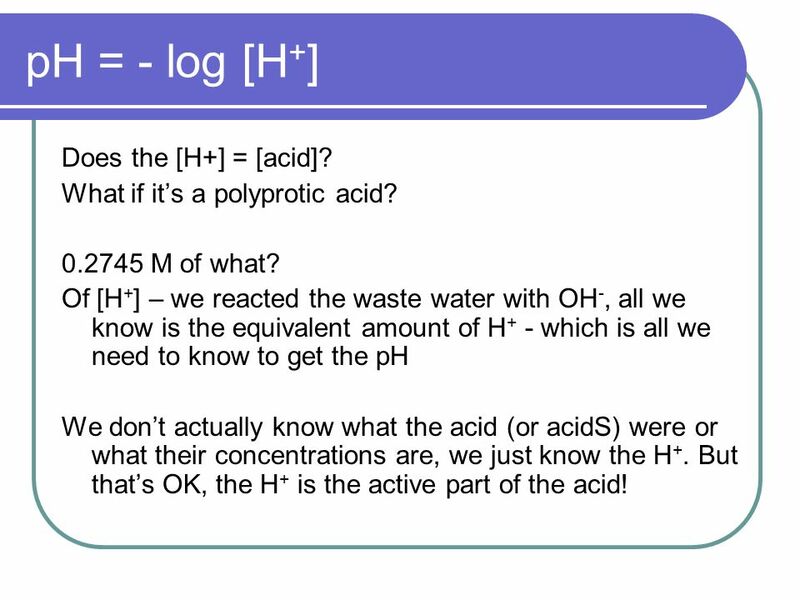 But thats OK, the H + is the active part of the acid! 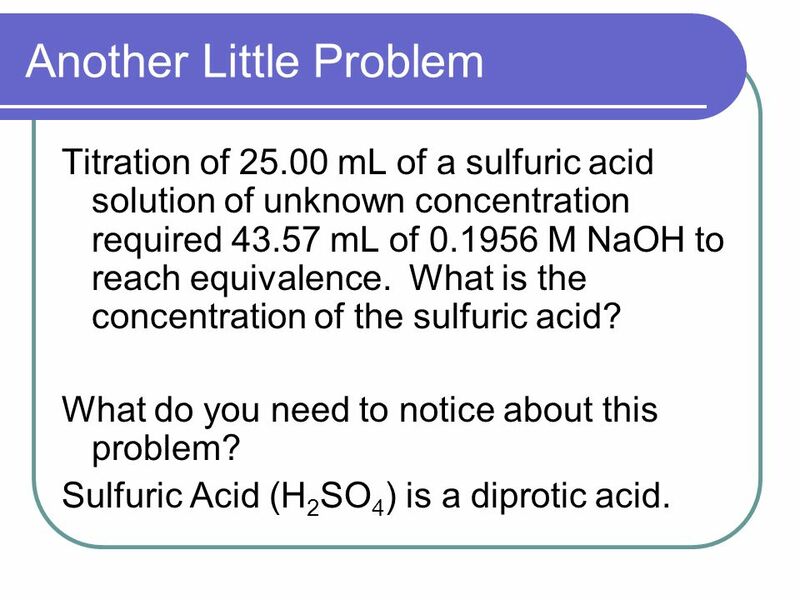 66 Another Little Problem Titration of 25.00 mL of a sulfuric acid solution of unknown concentration required 43.57 mL of 0.1956 M NaOH to reach equivalence. 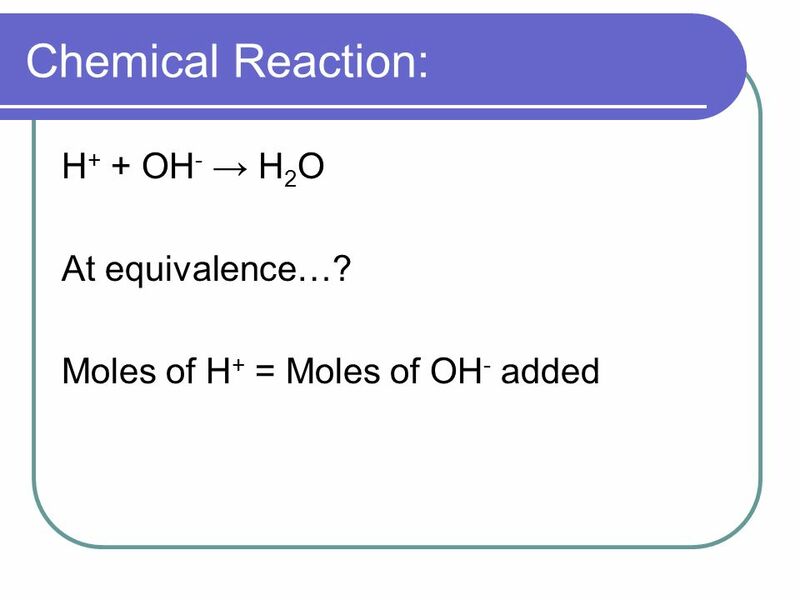 What is the concentration of the sulfuric acid? 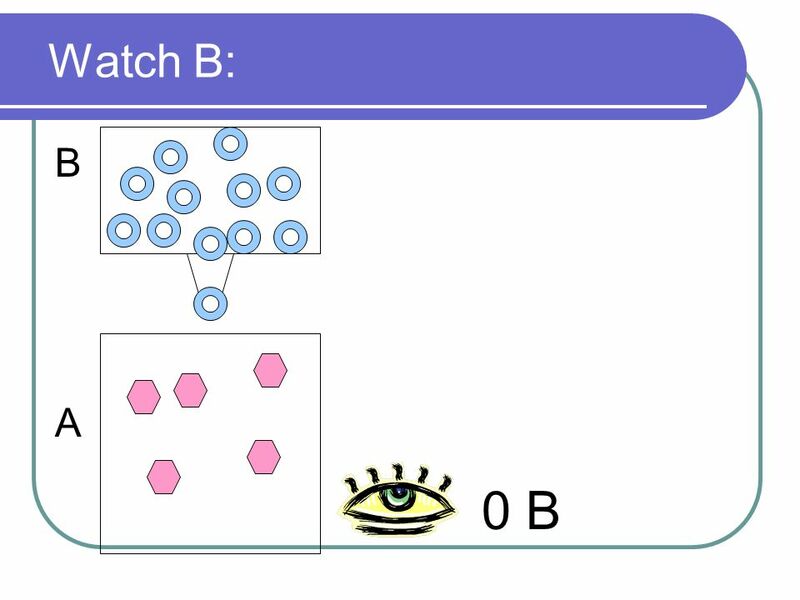 What do you need to notice about this problem? 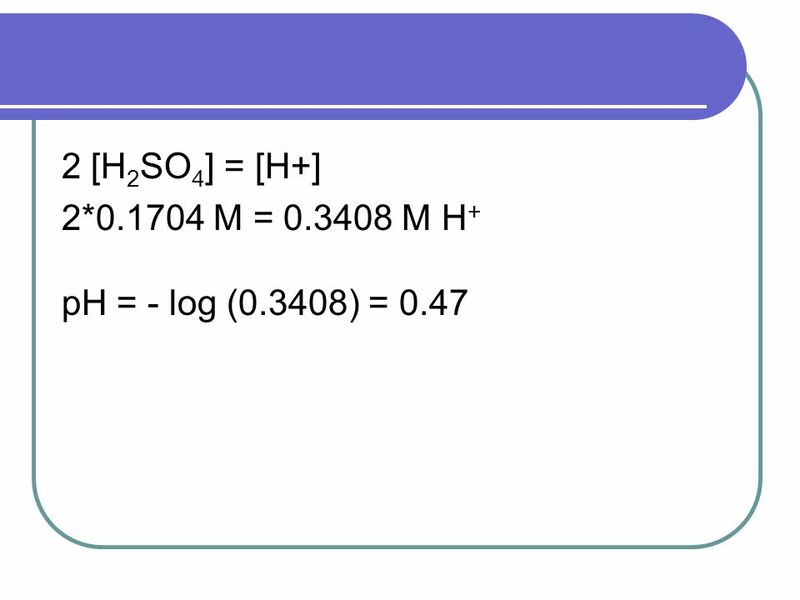 Sulfuric Acid (H 2 SO 4 ) is a diprotic acid. 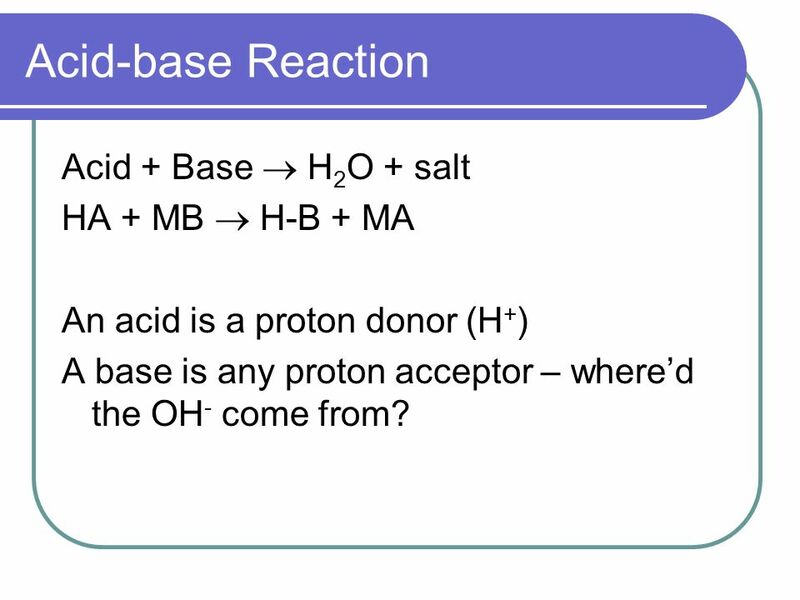 70 Acid-base Reaction Acid + Base H 2 O + salt HA + MB H-B + MA An acid is a proton donor (H + ) A base is any proton acceptor – whered the OH - come from? 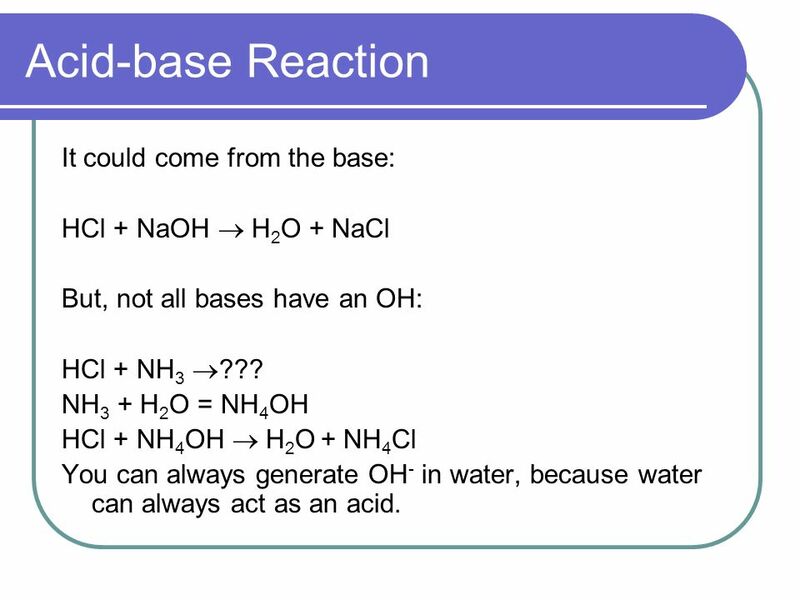 71 Acid-base Reaction It could come from the base: HCl + NaOH H 2 O + NaCl But, not all bases have an OH: HCl + NH 3 ??? 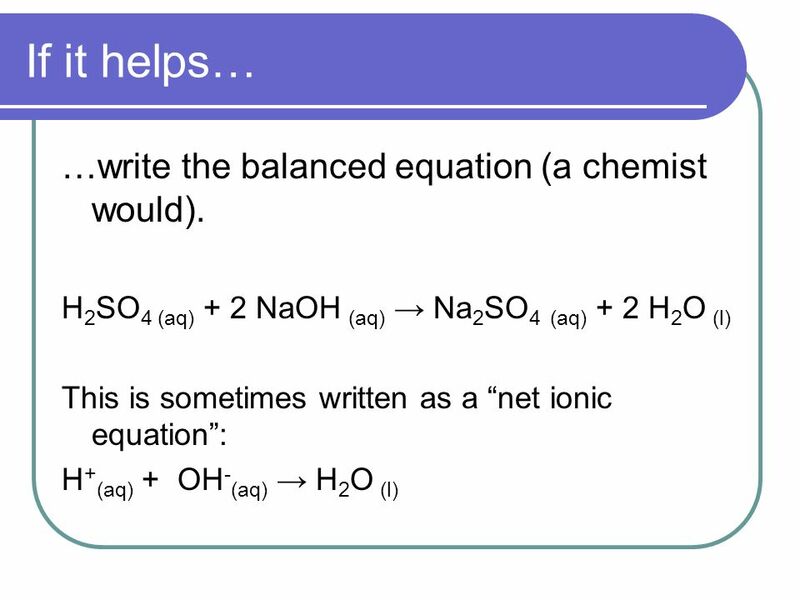 NH 3 + H 2 O = NH 4 OH HCl + NH 4 OH H 2 O + NH 4 Cl You can always generate OH - in water, because water can always act as an acid. 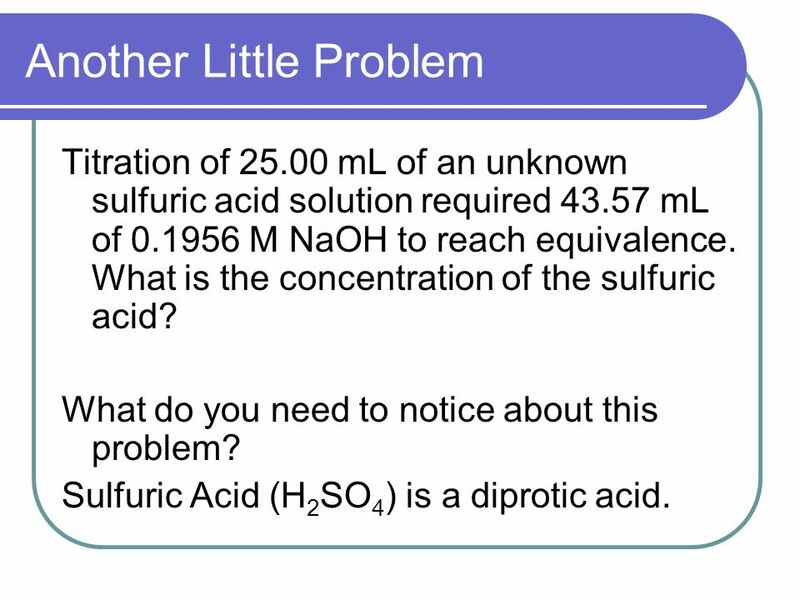 76 Another Little Problem Titration of 25.00 mL of an unknown sulfuric acid solution required 43.57 mL of 0.1956 M NaOH to reach equivalence. 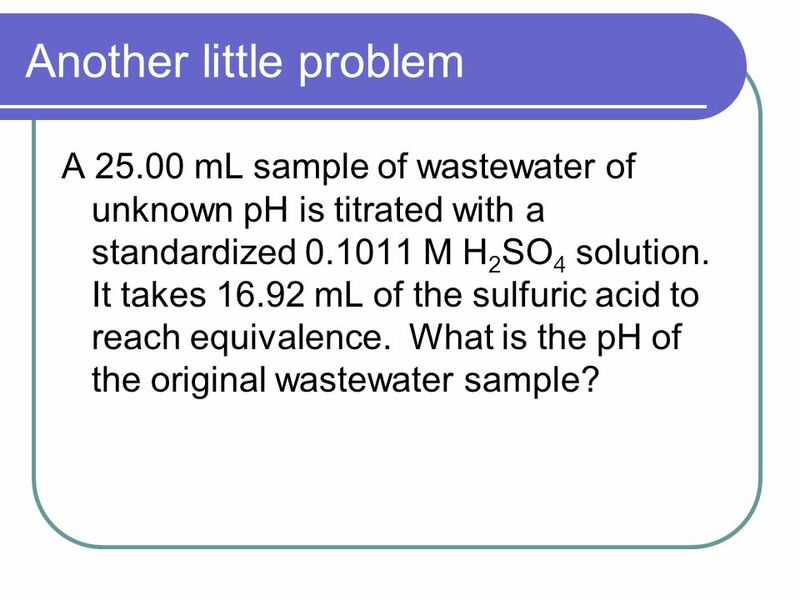 What is the concentration of the sulfuric acid? What do you need to notice about this problem? Sulfuric Acid (H 2 SO 4 ) is a diprotic acid. 80 An example of titration. I have a 25.00 mL sample of a wastewater. 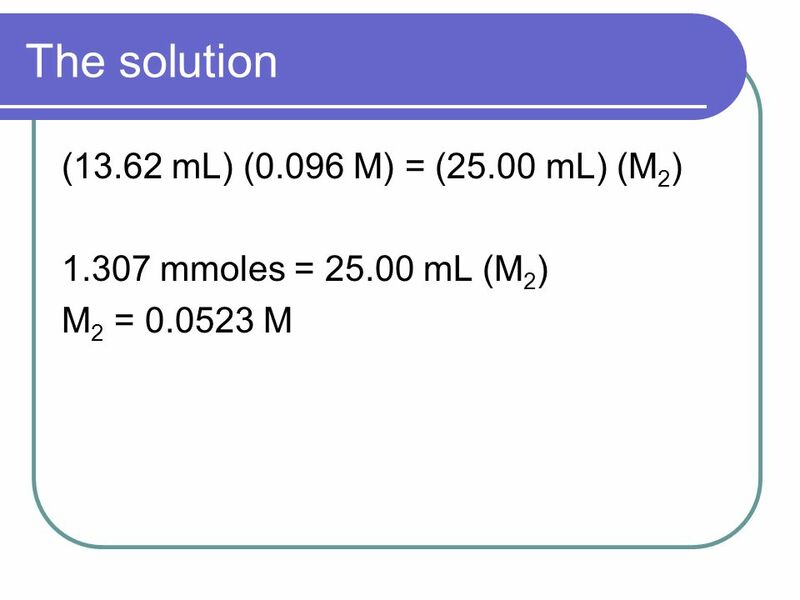 After addition of 13.62 mL of a 0.096 M NaOH solution, equivalence was reached. 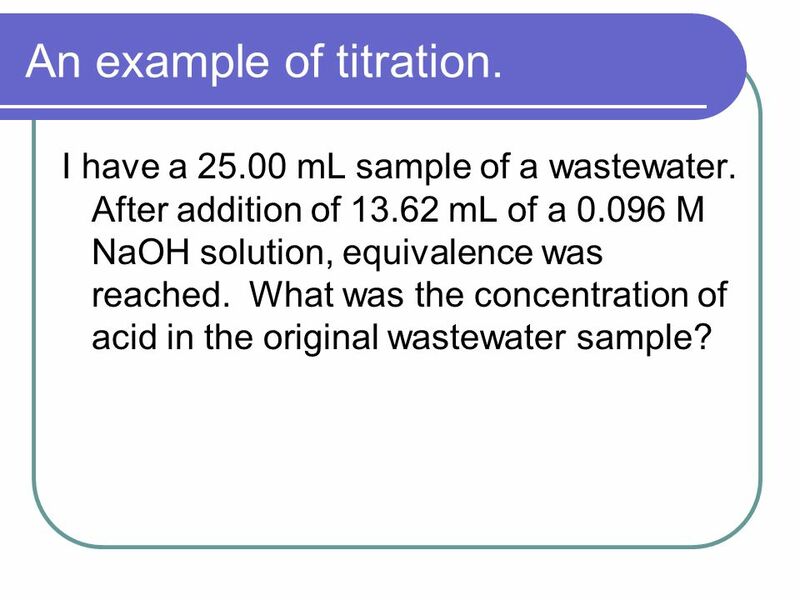 What was the concentration of acid in the original wastewater sample? 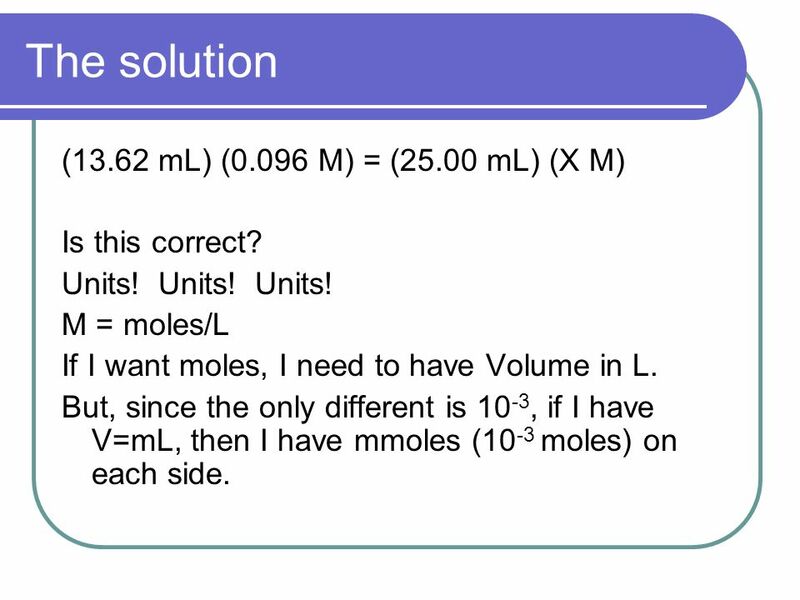 81 The solution (13.62 mL) (0.096 M) = (25.00 mL) (X M) Is this correct? Units! Units! Units! 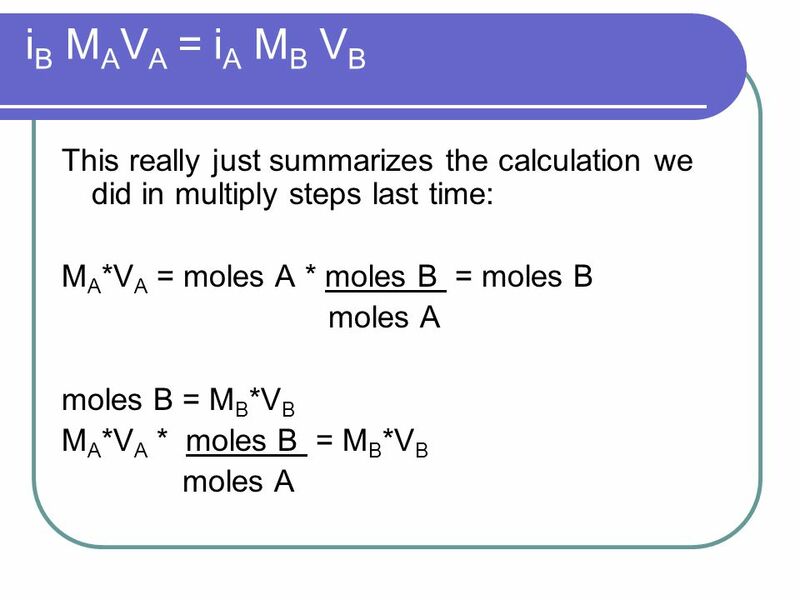 M = moles/L If I want moles, I need to have Volume in L. But, since the only different is 10 -3, if I have V=mL, then I have mmoles (10 -3 moles) on each side. 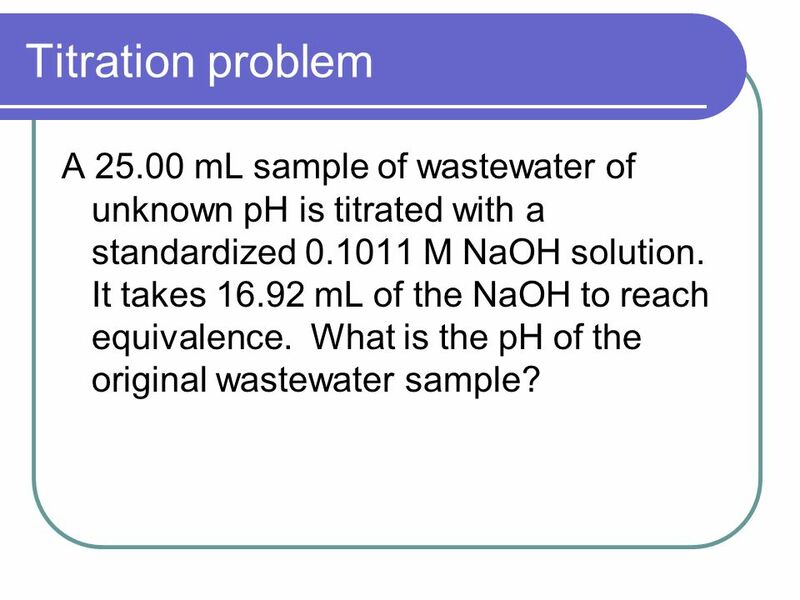 83 Titration problem A 25.00 mL sample of wastewater of unknown pH is titrated with a standardized 0.1011 M NaOH solution. 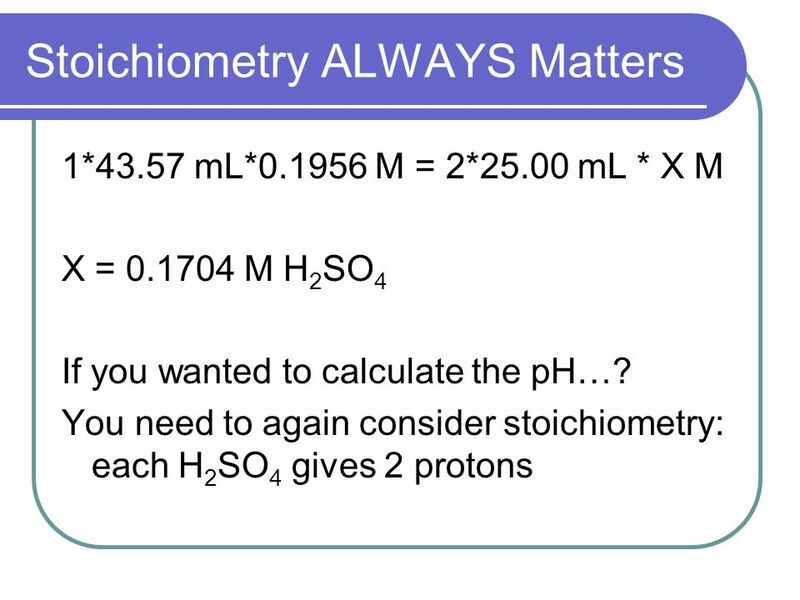 It takes 16.92 mL of the NaOH to reach equivalence. 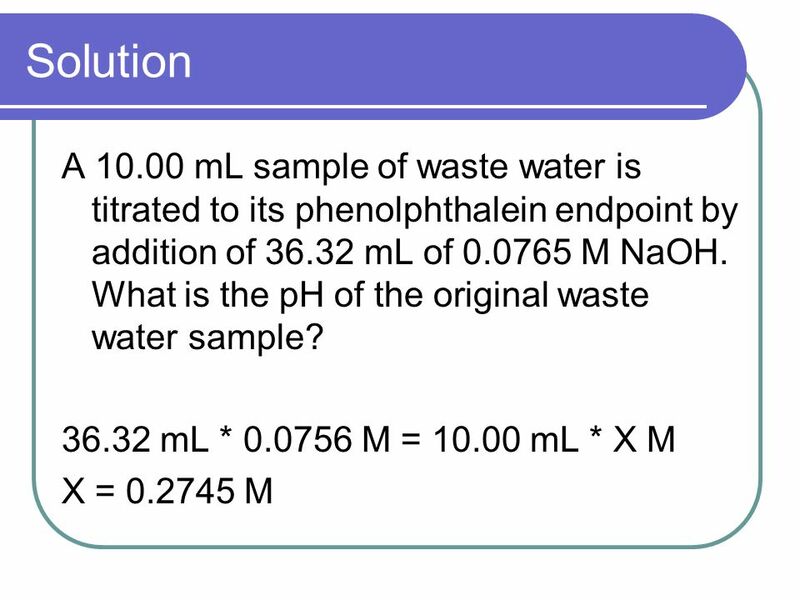 What is the pH of the original wastewater sample? 85 Another little problem A 25.00 mL sample of wastewater of unknown pH is titrated with a standardized 0.1011 M H 2 SO 4 solution. 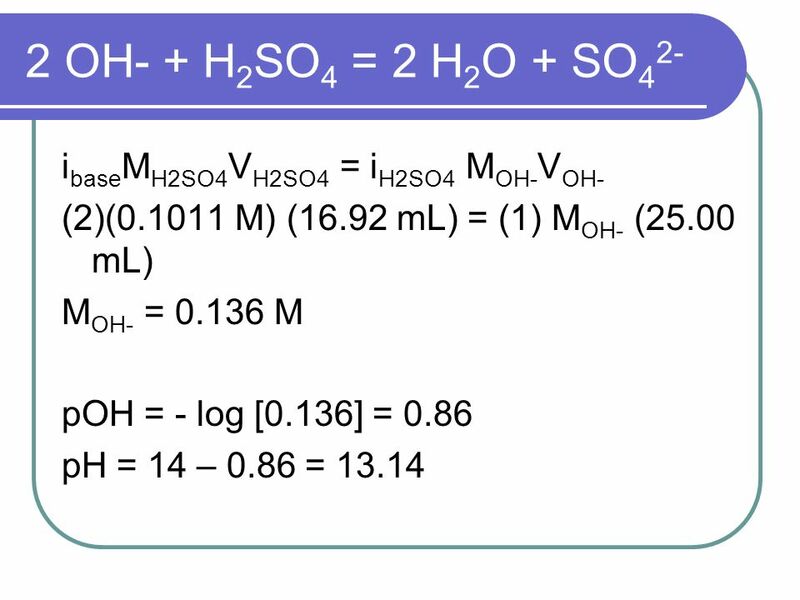 It takes 16.92 mL of the sulfuric acid to reach equivalence. 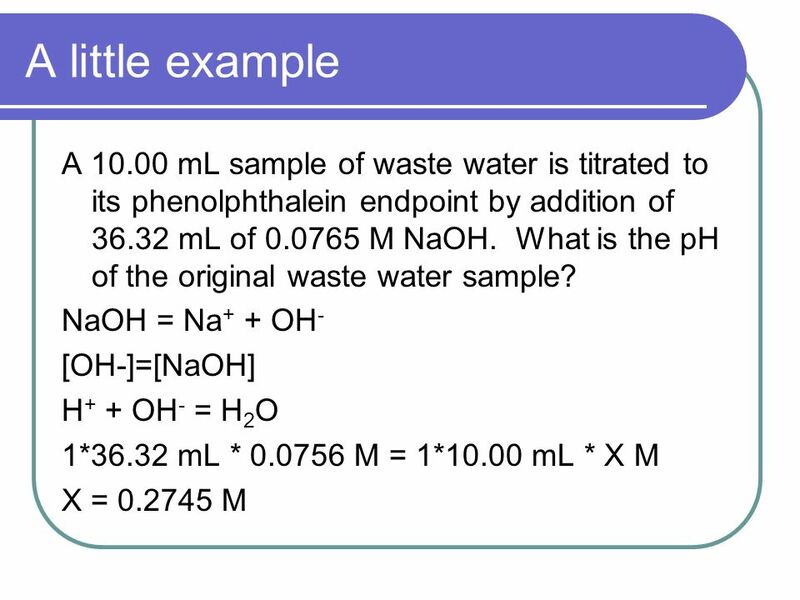 What is the pH of the original wastewater sample? 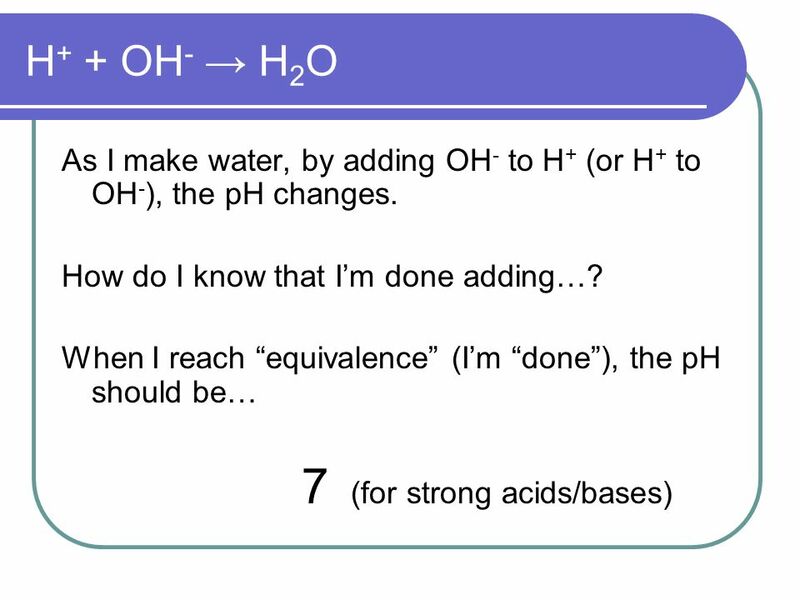 87 Weak acids The pH of an acid/base titration at equivalence is not always 7. (I lied, I admit it!) 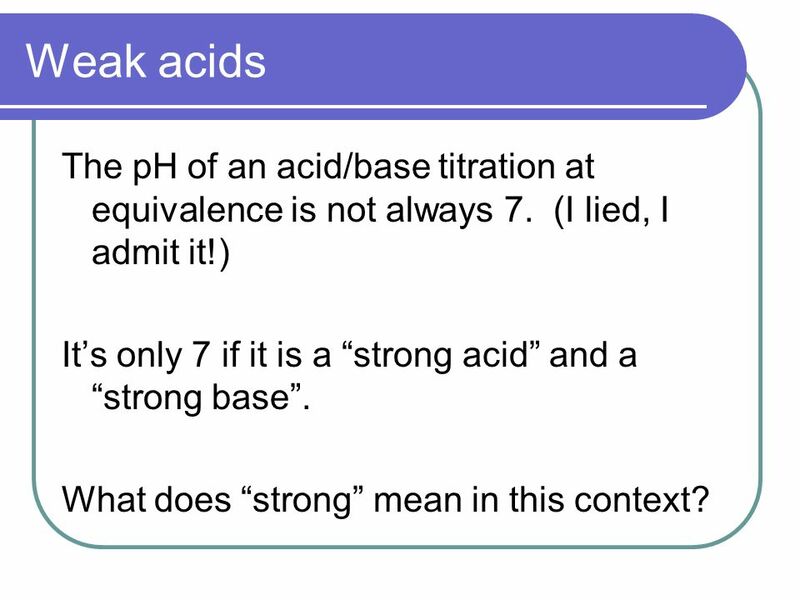 Its only 7 if it is a strong acid and a strong base. What does strong mean in this context? 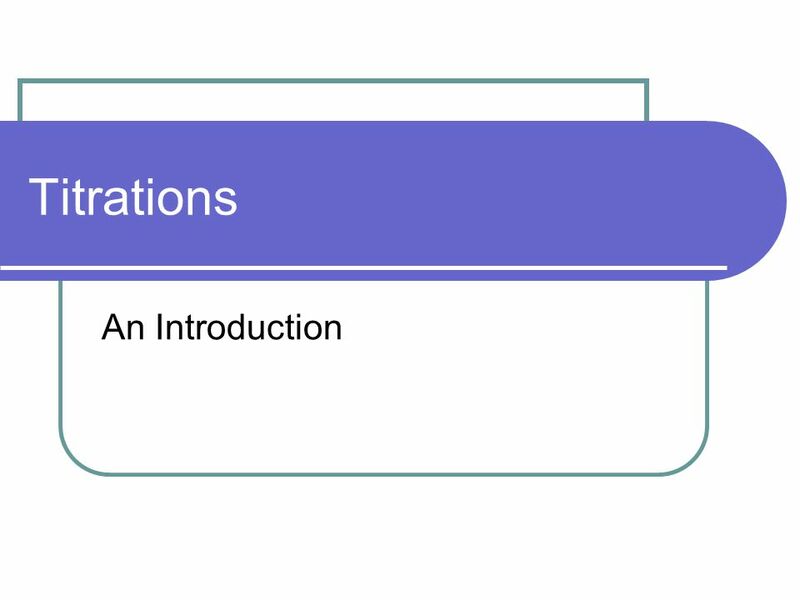 Download ppt "Titrations An Introduction. 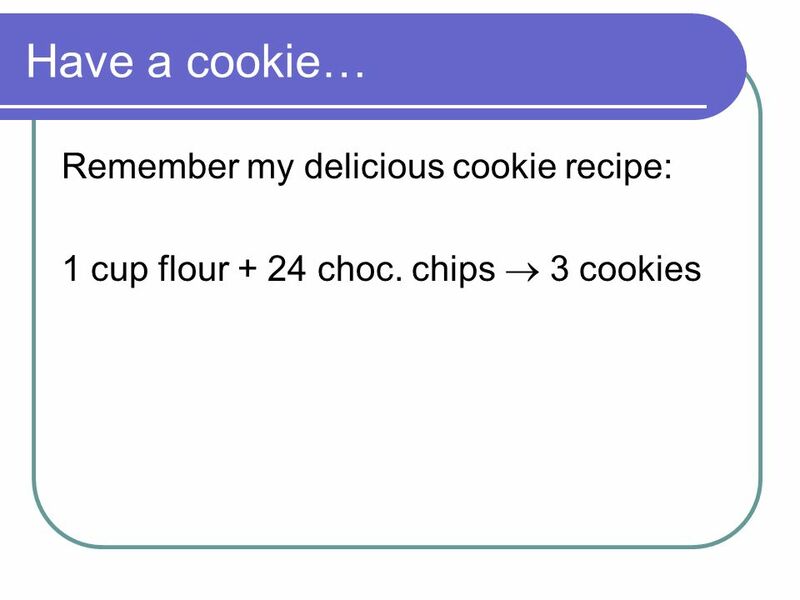 Have a cookie… Remember my delicious cookie recipe: 1 cup flour + 24 choc. 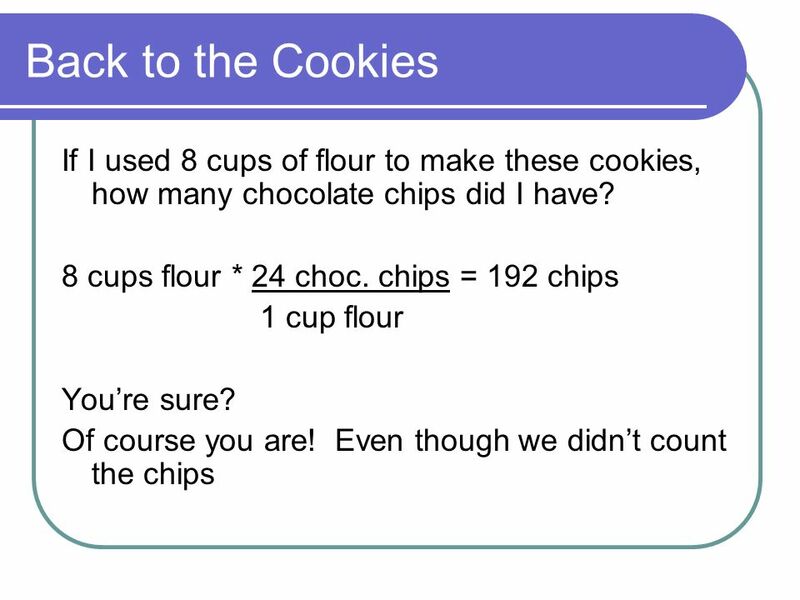 chips 3 cookies." III. 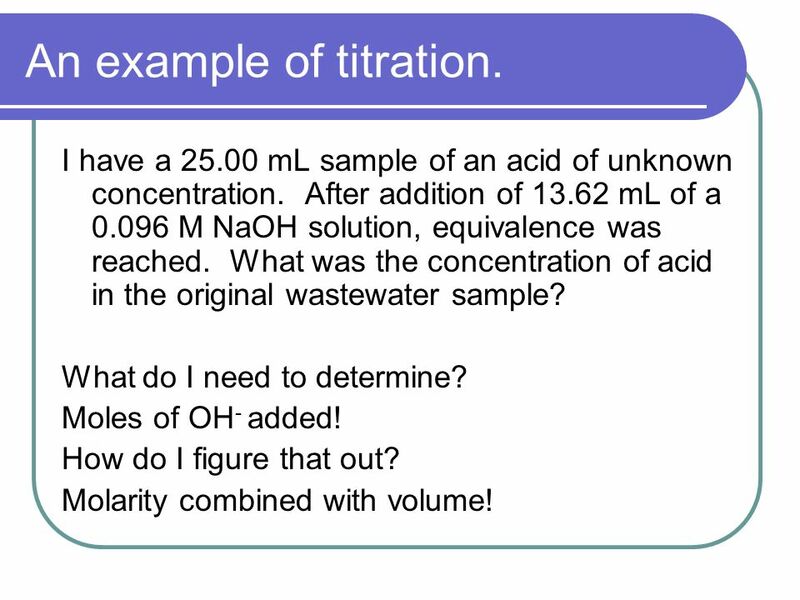 Titration (p. 493 – 503) Ch. 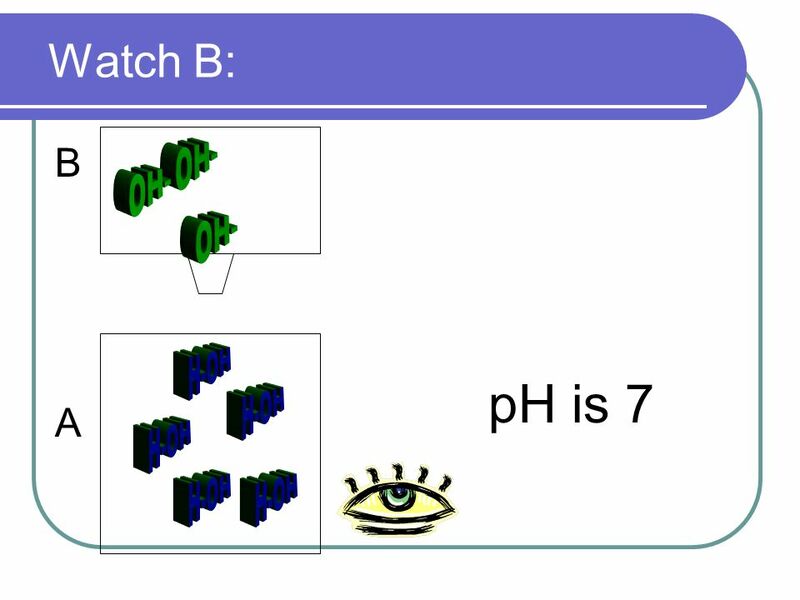 15 & 16 – Acids & Bases. Amphoteric Solutions A chemical compound able to react with both an acid or a base is amphoteric. Water is amphoteric. The two acid-base couples of. III. Titration (p ) Ch. 15 & 16 - Acids & Bases. Acids and Bases Titrations AP Chemistry. Neutralization Reactions and Titrations Neutralization Reactions Strong acid + Strong Base  Salt + Water HCl. 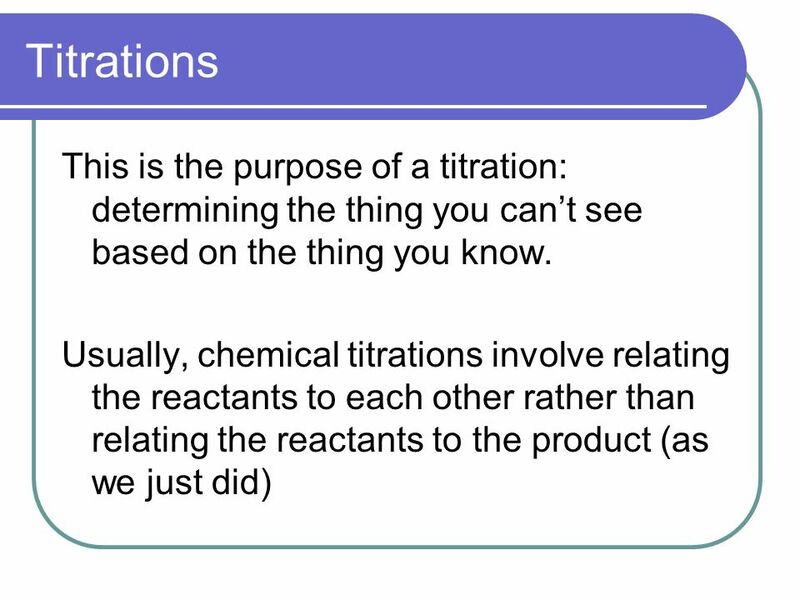 Titrations. 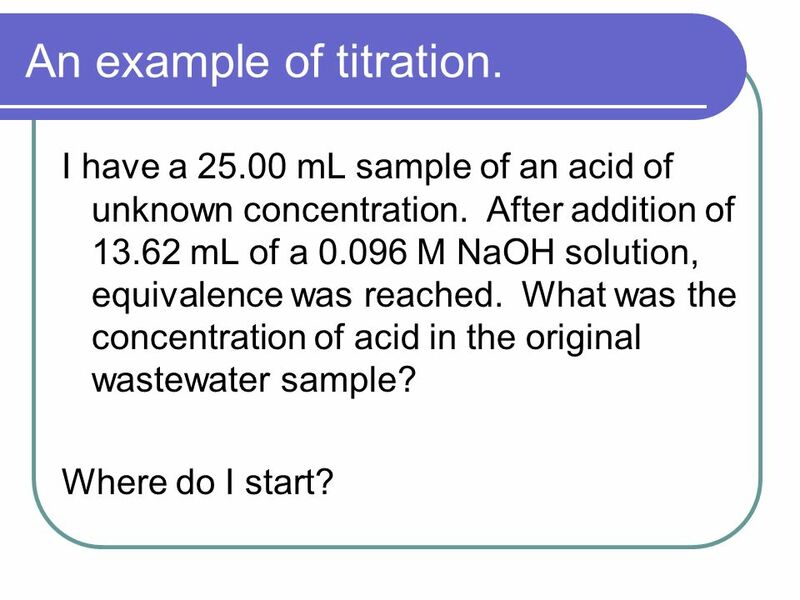 Titration is a way to determine the concentration of an unknown solution. This is done by adding a known concentration and volume of an acid. 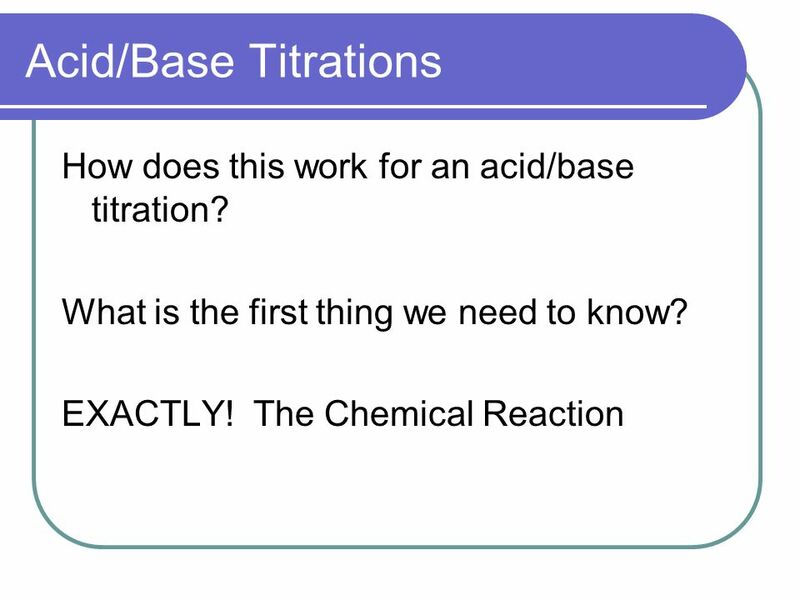 Titrations Main Idea: Titrations are an application of acid-base neutralization reactions that require the use of an indicator. 1.